Disclosure: Please note this book was received as a review copy from RevellBooks.com; all opinions are my own. Hello again, everyone. Tonight finds us in a new book review and this time it’s White as Silence, Red as Song: A Novel by Alessandro D’Avenia. In Freedom’s Light, readers will learn about Leo. A sixteen-year-old who has not only a way with words but with girls his age too! He spends his time texting, playing soccer, and killing time with his childhood friends, Niko and Silvia. This all changes when a new teacher arrives and challenges him to give voice to his dreams, ambitions, and listless direction in life. Couple this with Leo’s inspiration to win the heart of the red-haired beauty, Beatrice. A girl who doesn’t know Leo exists until the day they both faithfully find themselves admitted to the same hospital, and Leo’s mission is jumpstarted and as both they’re lives are forever changed! Throughout the book, Leo is given opportunities to find himself, reconnect with friends, recharge friendships from childhood, find his spiritual path, and to find love along the way. This book is a must-read this coming season. Hello again, everyone. Tonight finds us in a new book review and this time 100 Days of Thanks by Thomas Nelson. In 100 Days of Thanks, readers are provided with inspiring devotional materials focused on the amazing gift of the resurrection of Jesus and what that means in our daily lives. 100 Days To Thanks offers daily reading features devotional writings from the author’s numerous bestsellers as well as a Scripture verse selected especially for each day’s reading. Bring the gift of bravery, strength, and courage to friends and loved ones this holiday season with this deluxe, large edition of the classic devotional makes a handsome gift to commemorate a special occasion, especially this fall holiday season. It included a partially foiled cover, beautifully designed pages with large type, and a ribbon marker. Hello again, everyone. 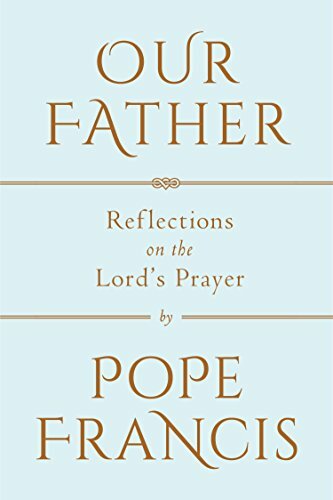 Tonight finds us in a new book review and this time it’s Our Father: Reflections on the Lord’s Prayer by Pope Francis. In this study of the Lord’s prayer by Pope Francis, verse by verse, in conversation with Father Marco Pozza, readers can explore the importance of social justice and forgiveness, key elements of Bergoglio’s papacy. This deluxe edition is a wonderful addition to your home Catholic reading collection this season and beyond. Hello again, everyone. 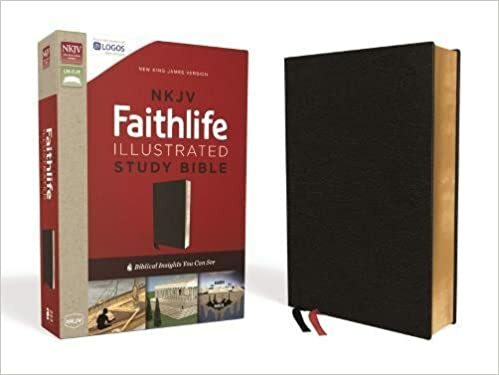 Tonight finds us in a new book review and this time it’s the NKJV, Faithlife Illustrated Study Bible, Premium Bonded Leather, Black, Red Letter Edition: Biblical Insights You Can See by John D. Barry,‎ Douglas Mangum,‎ Derek R. Brown, and Michael S. Heiser. In this KJV study, Bible you’ll find extensive commentary, doctrinal notes, archaeological indexes, and study guides created exclusively for the King James Version. Hello again, everyone! 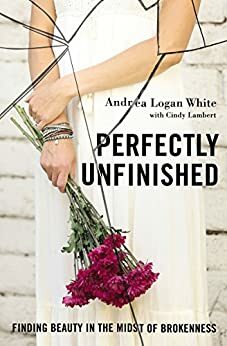 Today I’m reviewing Perfectly Unfinished: Finding Beauty in the Midst of Brokenness by Andrea Logan White. Andrea Logan White appeared to be living the “American dream.” But beneath her model veneer was a caustic voice leading to self-destruction and apathy. She was being crushed under the weight of her own perfectionist tendencies. Andrea’s journey to finding God at a stop light on Hollywood Boulevard is a page-turner unto itself, but this is nowhere near the end of this story. After discovering Jesus, finding an amazing husband, having children, and embarking on a new media career Andrea still needed to find ways to find God that fulfilled her as a person. This book tells that journey. In Perfectly Unfinished, Andrea exposes her truth. A truth that continues to change her life. In his holiness. Readers will discover ways to polish and except their own unfinished and imperfect lives too! This book would make a compelling women’s bible study or book club selection for this coming season, or would make a great gift idea for the women on your list this year as well! To find out more about this collectors edition, click here! Please note, this book was a provided review copy from BookLookBloggers; all opinions are my own. I was not compensated for this review. Thank you.